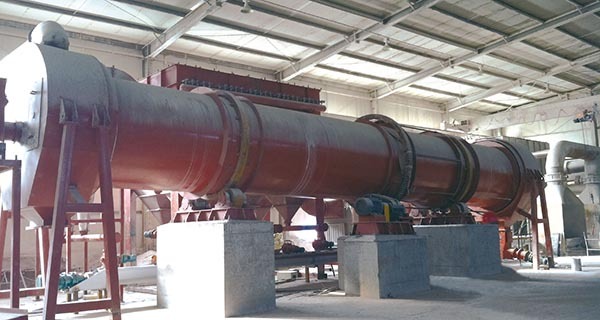 The HZG rotary dryer is professional grade drying equipment with an enormous capacity and continuous operation ability. 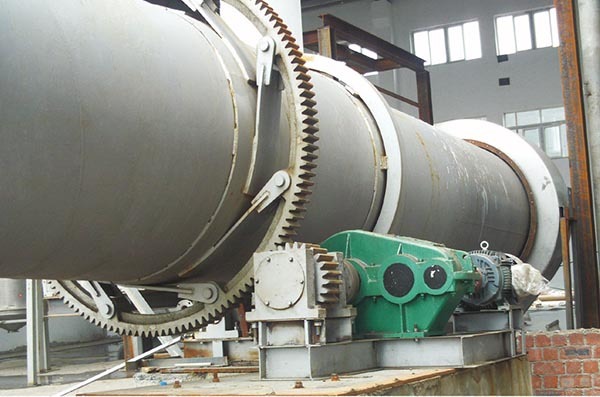 The machine’s structure consists of a heating system, feeding device, rotary drum, driving unit, dust catcher and a discharging unit. 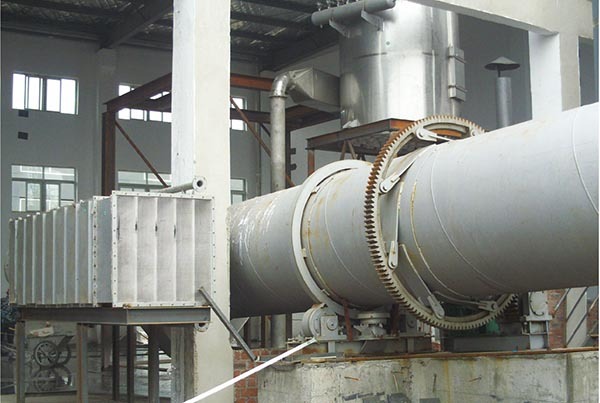 The large design and effectiveness of the industrial dryer makes the unit extremely adaptable for a number of applications. 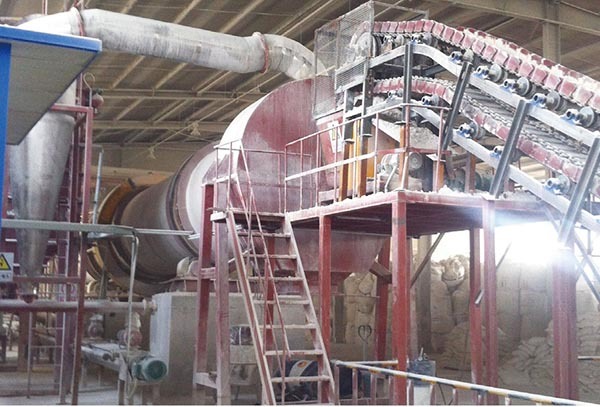 The machine can remove moisture from the contents with incredible results, leaving the finished product with less than 1% humidity after a drying cycle. 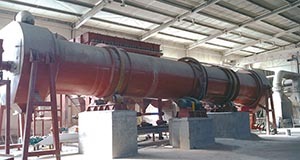 The rotary dryer is utilized for the material drying of powders, granules and other particular mixtures for the chemical, metallurgy and building industries. 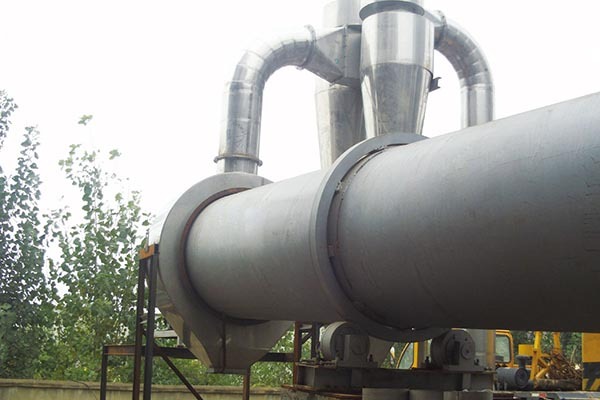 For example, in the chemical industry, the drying unit is used to dry ammonium sulfide, akali sulphide, ammonium nitrate, urea, ethane diacid, potassium dichromate, PVC, manganese dioxide, calcium carbonate, nitric phosphate, calcium-magnesia phosphate fertilizer, Phosphate rock, normal superphosphate, concentrated superphosphate, sodium sesquicarbonate, III sodium Polyphosphate etc. The operation of the rotary dryer is fairly simple. 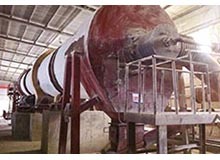 Damp material is fed into one of the sides of the drying device and it is agitated by the shoveling plates within the drum. 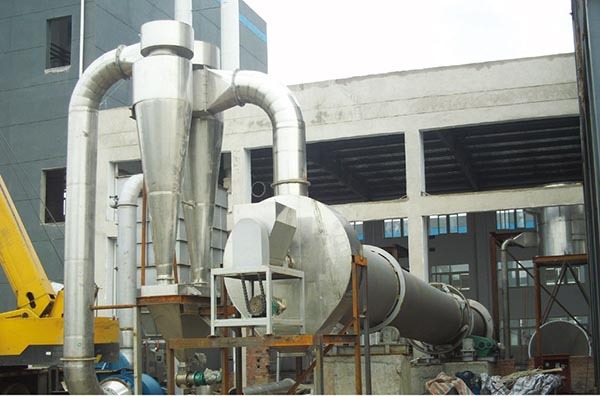 This spreads the material uniformly through the drying area and exposes it to the parallel flow (or counter flow) hot air. The heat transfer is expedited buy this mixing and it allows the moisture within the mixture to quickly evaporate. During the entire drying process, the shoveling plates continue to agitate the material so that it is uniformly exposed to the hot air flow. 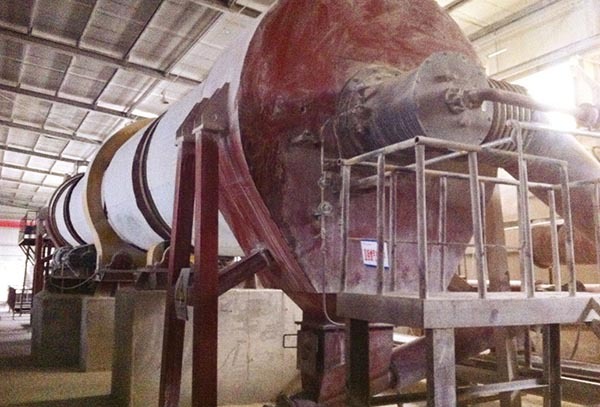 At the end of the process all of the material is moved by the shovel plates to one side of the dryer where the star shaped discharger releases the dried finished product. 1. 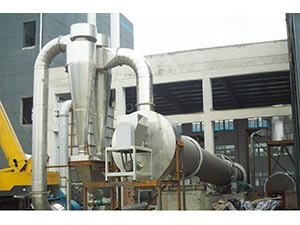 Suitable for drying thermally sensitive materials that require low temperature drying and a large continuous capacity. 2. 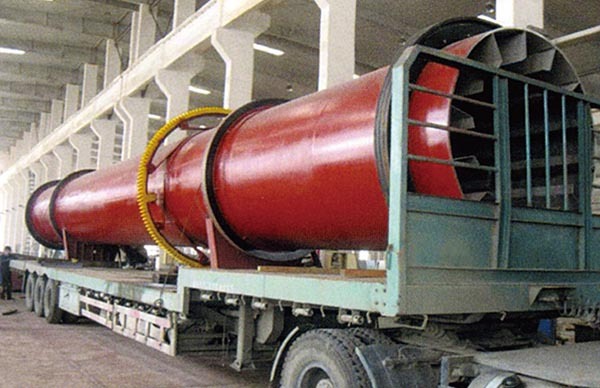 The capacity of the rotary dryer is large enough for almost any drying application and operation is simple. 3. 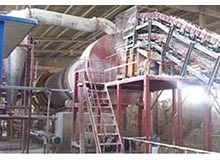 Low fluid resistance within the dryer and minimal energy consumption. 4. 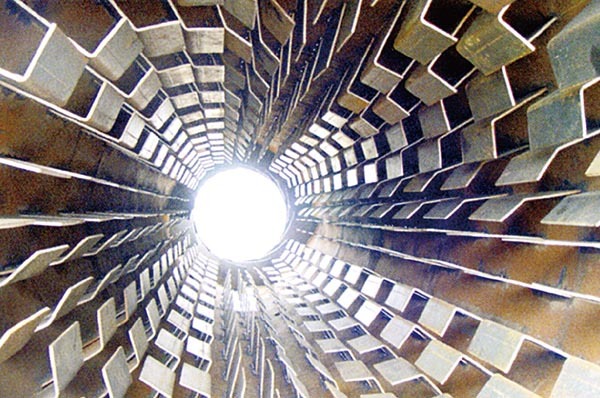 Excellent adaptability for different materials with varying requirements. 5. Uniformity of the finished products is noteworthy. Heated air or fume and etc.